Stylish velvet makes this full-length strapless bridesmaid dress sophisticated and refined. 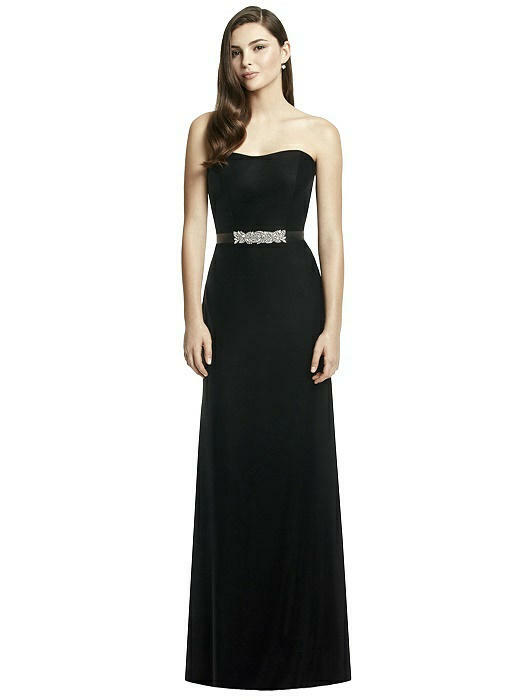 Featuring a sweetheart neckline, the romantic silhouette is balanced by a flattering A-line skirt. Ave belt sold separately.